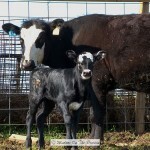 Up at the farm a couple days ago, one of our cows, an 8 year old, had the most adorable calf I’ve ever seen. I took pics of him when he was less than 24 hours old. This little guy was created by Disney. Just look at that snowy white face, dark flashing eyes, and little pink nose. We just bought the cow, his mom, a few weeks ago. She seemed calm enough when we bought her, but she’s turned out to be a hellcat on wheels. She would like to grind Harland into the dirt beneath her hooves. She specializes is throwing dirt around with her front feet like a bull in a bullring. All we need is a red cape. 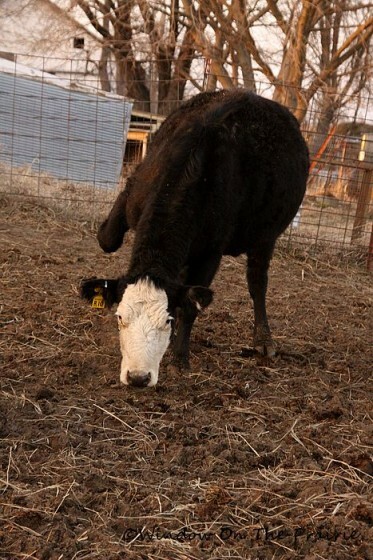 When she first had the calf, Harland walked out into the pasture to make sure it was ok, and she chased him out. And she got ugly again when he put in the calf’s eartag yesterday. Hopefully she’ll calm down in time when she sees we are not going to hurt her baby. What an adorable little cutie. But, watch out for Mama. Ya, they can get mean for sure. We had one that would chase us for no good reason. That was Big Red and she was mean. Be careful. I loved your posts a bit ago about Panda Calf and was just enthralled with him … until this little nugget has shown his adorable face!! Love watching your happenings on and off the farm. Ohmygosh! He’s adorable!! We just had one born last night/early this morning. 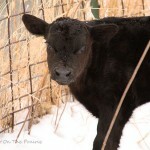 Newborn calves are just too sweet! 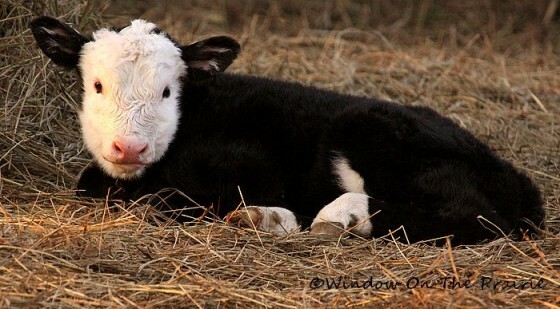 This little one reminds me of our last steer, a holstein/hereford cross. Adorable!! “A Hellcat on Wheels”, huh? I’m sure you’ll be careful! 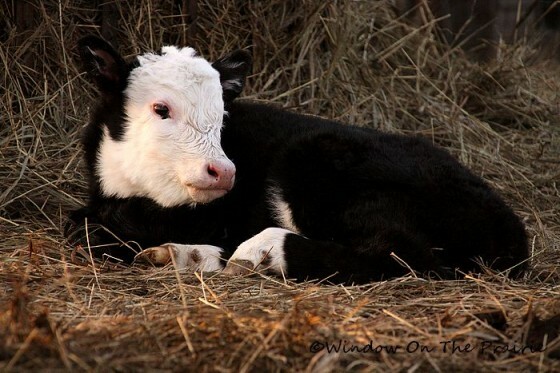 The calf is darling. 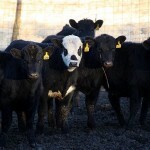 Ask Mama cow if she would like to be a freezer full of steaks! What a “bull”y! (Even though she’s a COW! What a sweetie pie, and his momma is pretty, too! I love the pic of her throwing up dirt with her hoofs! I’m sure Harland is an old pro with these gals. 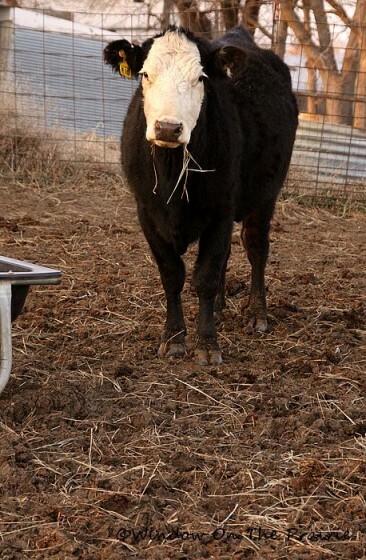 I’ve never had cows, but I had a pony once who attacked anything that came in his corral. We returned him. Looking forward to more pics of the babies. Wow, I’ve never seen such photogenic cows. 🙂 The calf is a sweetie and I found it interesting about his mom. Maternal instinct is a powerful thing to reckon with! You said it – created by Disney! How sweet…maybe his temperament will rub off on his mom. One can only hope. And we also hope that her nasty temper doesn’t rub off on him/her. I am interested in how you came to purchase a pregnant cow just weeks before she gave birth. I thought that you kept your own cows, let them “date” your two bulls and then had calves in the spring. If you were going to add to your herd, I would have thought that you would have purchased young cows (heifers? )last summer and had them “date” your bulls. Just interested in how this cattle stuff works!! I have 8 chickens and two bee hives — all that I am allowed on my one acre! The reason we bought some pregnant cows (15 of them) is that some pastureland opened up for rent in our area just recently, so we had to go buy some cows to put on the pasture. 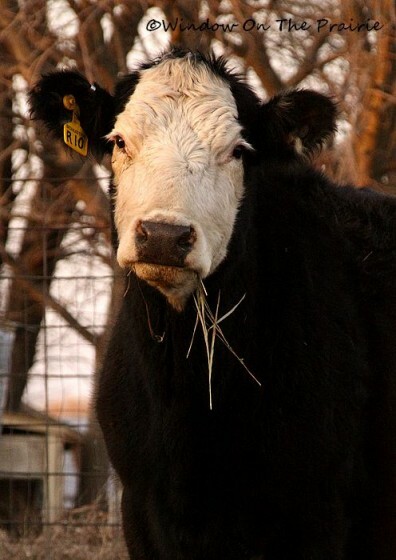 We bought ones that were at the same stage of pregnancy as our own, so they’ll be ready to “date” this summer at the same time as our own cows, thereby having calves next year (with our bulls as the father) at the same time as our own cows. 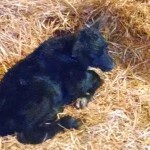 We try to have everyone have calves at the same time, March and April, so the calving season is done all at once. Thanks for stopping by. Hope you’re enjoying your new job! 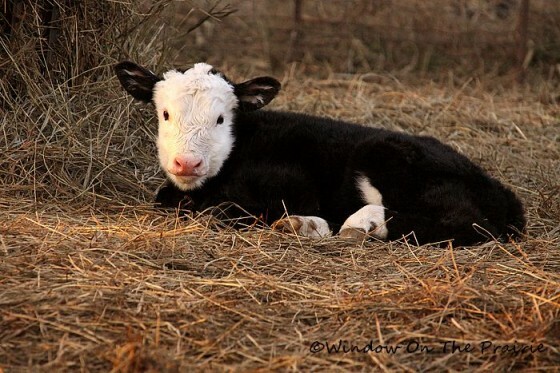 I am in love with this calf!!!! What a cute, funny story…!!! !